Having made its mark in China by luring legions of entrepreneurs to its growing stable of shared, flexible work spaces, WeWork is doubling down on one of the country’s favorite buzzwords by trying its hand at incubators. Its latest move will see the global co-working giant team up with e-commerce leader Alibaba’s cloud unit on WeWork Labs, an incubation program targeting early-stage startups. The pair will set up joint innovation centers and industrial cooperation incubation funds, as they answer Beijing’s constant call to nurture innovation. 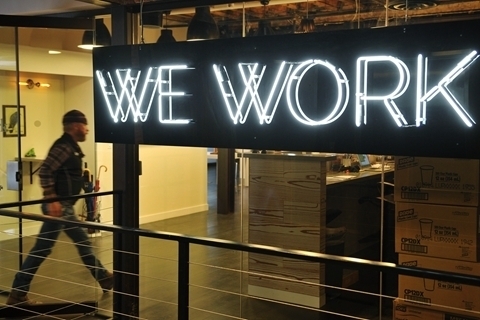 In most cases WeWork won’t invest in startups that set up shop in WeWork Labs, but instead will offer office rental prices at 10% to 25% discount, the company told Caixin. It hopes the payout will come when startups use more WeWork office space as they grow bigger. WeWork Labs’ China members can also visit the company’s overseas sites and meet local investors and companies for when they plan to go global. The incubator tie-up isn’t the first between WeWork and Alibaba. In 2018, the U.S. company started waiving deposit requirements for customers with high enough credit scores confirmed by Zhima Credit, the credit rating unit of Alibaba-affiliate Ant Financial.